The smiling faces that welcome you in each one of our branches are more than travel agents and they do more than sell holidays. They are part of their local community and are committed to making a difference to people's lives. Each branch has a yearly budget that they can use to sponsor any fundraising activities they want to organise or be part of. They know the secret to fundraising success and make sure to use it any way they can to support those in need within their local community. Some of them are brave enough to do a 15,000 ft skydive, others get their bake on and throw a cake sale. They're not afraid to take a bean bath outside their branch or head to the great outdoors for their own version of I'm a Celebrity Get Me Out of Here! Our shop managers and retail colleagues are proud to be part of the communities they are based in and will continue to deliver fantastic projects. Whether you're an organisation or an individual and have a worthy cause, don't hesitate to approach your local Hays Travel for help. 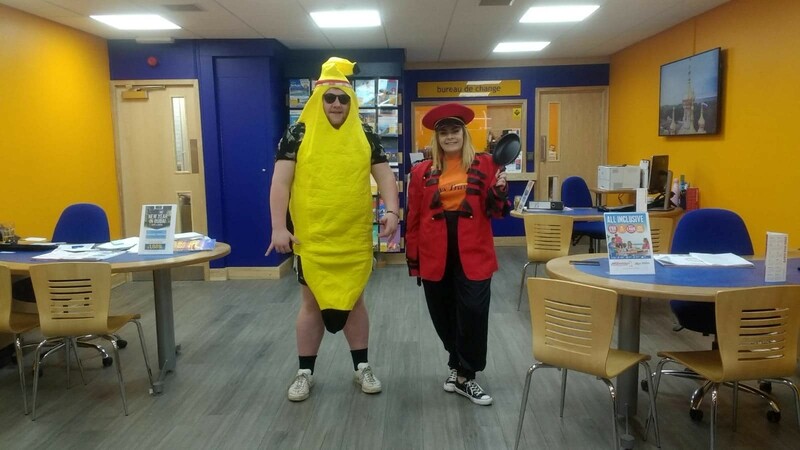 While the Hays Travel Foundation primarily focuses on supporting young people, our branches have the freedom to make their own decision about who and what they would like to fundraise for. Follow the link below to find your nearest Hays Travel. 'Shrove Tuesday', also known as 'Skipping Day' is a big event in Scarborough. As is tradition all children in the area, get the day or half a day off school to go have fun at the beach. This tradition is dated back to the early 1900s and its origins are suggested to have started when local fishermen were sorting their old equipment and any ropes or nets no longer needed were gifted to children to play with. Since then it has been a tradition on this day every year, everyone goes skipping! The Mayor and The Town Crier ring the famous Pancake Bell at midday to start the event off! In addition to this everyone races with pancakes in the town centre, to win the famous golden pancake pan! You get marked on fancy dress, how entertaining you are, your pancake flips and how much pancake is left in your pan at the end of the race. All local companies take part in this race to have a bit of healthy competition in the town. The street was lined with adults and children as they are granted time off school to celebrate the towns tradition and cheer the teams along. Posted on Wednesday, Mar 20. Throughout the year, all Hays Travel branches fundraise for charitable projects as part of their Local Community Partnership initiative. This year, Intrepid Travel, has partnered with Hays and offered a fantastic incentive for the top performing branch. Run by travellers, for travellers, Intrepid Travel has grown to become the world’s largest provider of small group, sustainable, experience-rich travel. 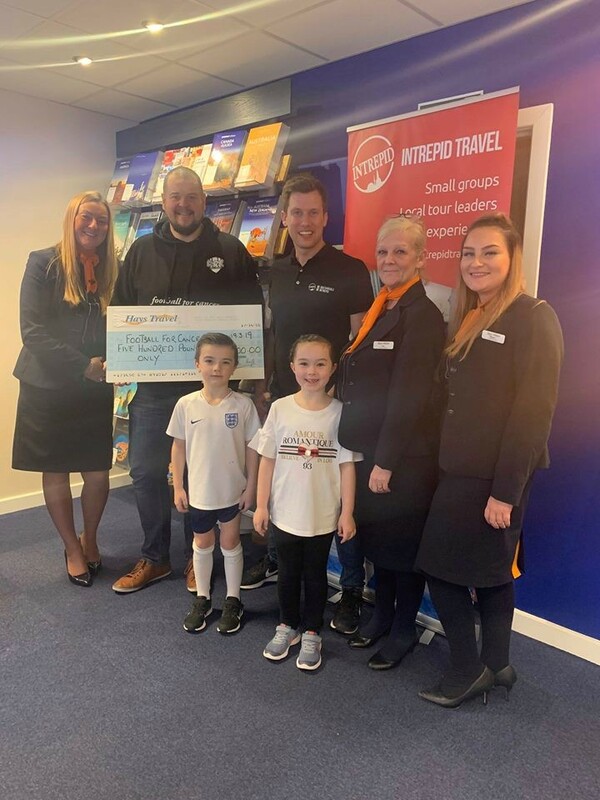 Hays Travel Havant won this competition and has been awarded £500 to go towards a charity of their choice. The team recently met with a representative from Football for Cancer and presented them with a cheque. Football for Cancer was created in 2008, and works to raise money for cancer charities and people suffering from this condition. They support families who are going through one of the toughest times in their lives and help alleviate the financial burden of coping with this disease. The Havant team is already planning lots of other activities throughout the year to raise more funds for this great charity. We would like to thank Intrepid for putting together this great incentive and we look forward to working together more in the future. Our Hays Travel Southbourne branch has recently been recognised as our Local Community Partnership champions for the South Region. However, the work they have done for the local community has received further recognition. 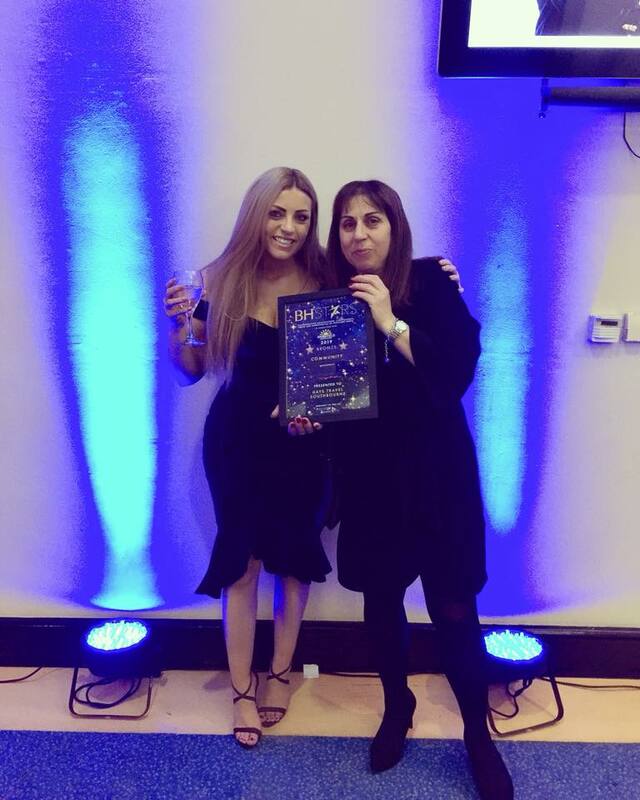 Josi the Branch Manager and her Assistant Manager, Chrystall, were delighted to attend the BH Star Finals, last night at Poole Lighthouse, where the team received a bronze award in the Community Category. We look forward to see what our branch will be up to this year and what other amazing charitable initiatives they will deliver!